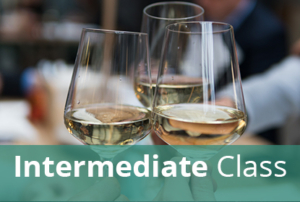 This 10-class course will be held at Capital Wine School on the following dates: May 7, 14, 21,28, June 4, 11, 18, 25, Jul 2, 9 with exam on July 23. Each class meets from 6:30 p.m. until 9:30 p.m. Please note that the exam begins at 7:00pm, but students should plan to arrive by 6:30pm. For detailed information about the WSET Level 3 Award in Wines, please click here to download a PDF of the WSET’s Specification. The course fee includes the 10 classes at Capital Wine School, the WSET Level 3 study guide, and the exam at Capital Wine School. Note: This qualification is open to students who hold the WSET Level 2 Award in Wines & Spirits or can demonstrate the equivalent level of knowledge. It is recommended that students complete the Level 2 Award in Wines & Spirits before progressing to the Level 3 Award. This qualification is a prerequisite for candidates planning to study for the WSET Level 4 Diploma in Wines and Spirits qualification. A student must pass the WSET Level 3 exam before registering for the Diploma program.